A child learns by exploring the world around them. When it comes to picking up a book, a whole new world opens up to them! In an author visit, Debbie comes and explores the world with the children, taking them through the process of an idea, to a finished product. Debbie will tailor her visits to your school needs. You can have her talk to the whole student body, or divide into classes or writing interests. She has a list of workshops and topics you can choose from. Contact her for current rates using the contact form at the bottom of this page. Debbie will come to your school library or classroom and customize her visit to meet your needs. She has many different workshops to choose from. She is very flexible, so don’t be afraid to ask her if you want her to talk about poetry, research, outlining, not giving up, or another subject you feel will benefit your group of students. Debbie can do both Assembly and Classroom visits. For writing workshops, she prefers classrooms as she likes to interact with the students. Here is an idea of what a day may look like. Debbie will come visit and share with the students the story of a book, the importance of both the words and the pictures, and show them how a book comes alive. Each visit includes interactive storytime. Debbie takes the students through the process of how a story is born from idea to finished product, including working with an illustrator and finding a substory in illustrations. Each visit includes an interactive storytime, Improv if time allows, and time for questions. For these classes, Debbie can work with the teachers to coordinate with their current curriculum. She loves to engage the students and help them explore where story ideas come from and how a story has a beginning, middle and end. She introduces the idea of conflict. She can also talk about the process of a book start to finish, and spends time answering the students questions. Ask Debbie for a list of workshops she offers. Debbie loves to do writing workshops. She begins the workshop with how she came up with the idea for her book, the editing process, and what it’s like to work with an illustrator you don’t know. For the second half, teachers can choose from different writing workshops. Teachers are amazed at how the entire class gets excited and contributes. Teachers can continue with the lesson after Debbie has left if they choose too. Having author Debbie LaCroix come to speak was an amazing investment in our community! Debbie did author visits with Headstart, Kindergarten through 6th Grade Classes, and even a college visit for those going into education. She did a fun read-aloud with the younger kids, spoke about writing in general with the school-age kids, and then really delved in to the writing process for the older students and adults. In her writing talks she came from many different angles including where to find an idea, how to write different points of view, voice, and how to finish a project. 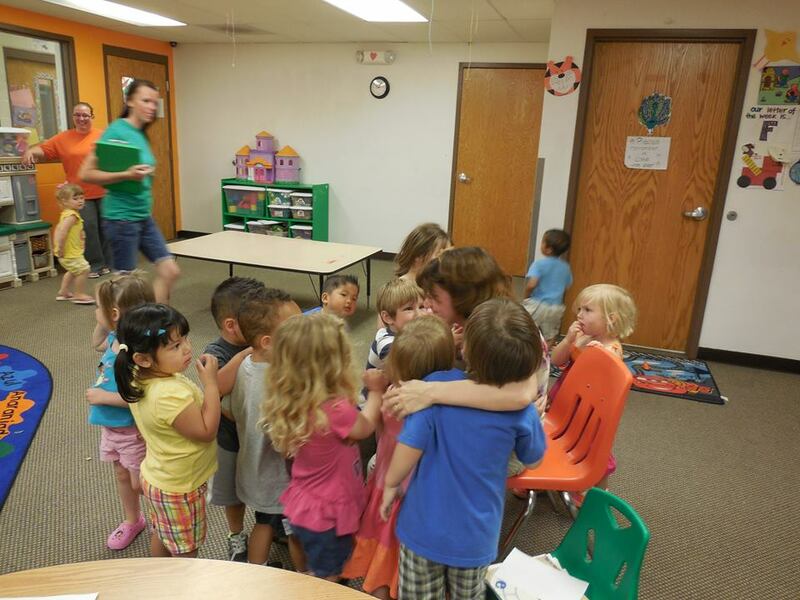 Having Debbie come to your school or community will not only be a fun experience for your audience, it will be well worth their time when they learn something new from Debbie! 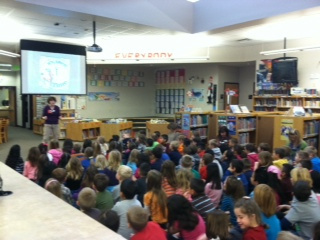 Author Debbie LaCroix visited our school on pajama day and she joined in the fun by wearing her pajamas. We had a presentation at the beginning of the day with the whole student body and then she visited individual classrooms for more in-depth sessions. She spoke with all levels from Kindergarten through sixth grade. Debbie can adapt her material to the age of the students. She involved all the students and all of their ideas no matter how silly some of them seemed to be to the adults that were observing. She shared some realities of the author business like not being able to choose your illustrator or what they add to your book. She also told us how a book develops and changes. It may turn out to be completely different that how it started. It was a great day and Debbie is very enthusiastic about her work. Your school will so enjoy having here and the students will learn a lot. 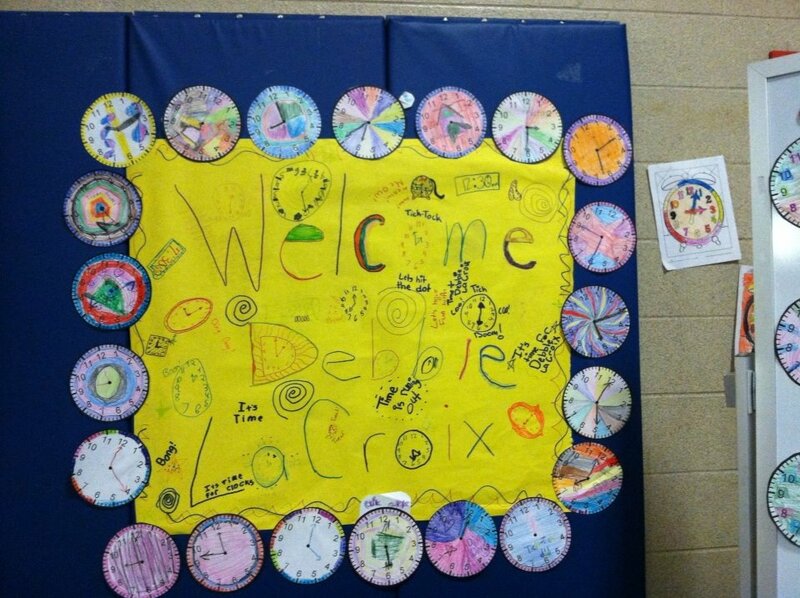 Last summer I had the privilege of bringing in author Debbie LaCroix to Holy Spirit’s Summer Stretch program. Debbie spent the day leading a variety of workshops geared specifically to the ages groups ranging from preschool through 6th grade. The staff continues to remark about how much they enjoyed having her come. 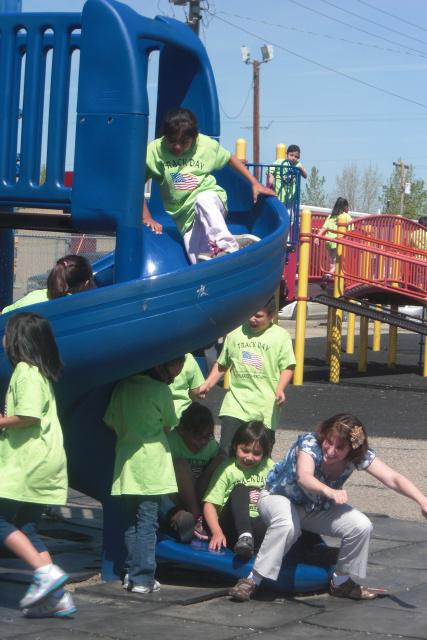 She has the ability to keep all of the kids engaged and having a good time. The teachers were so impressed that day and are so excited to see what we can come up with next year! I look forward to being able to bring Debbie into more schools soon!